What if a car accident killed your parents when you were a child, and you were raised by your older brothers? In Mary Larson’s Crow Lake, two teenage brothers bravely cope with this premise in a story of resilience and perseverance, set in the cold wild isolated area of Northern Ontario. 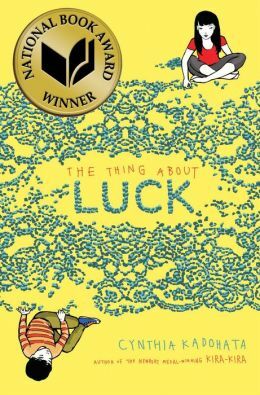 Kate Morrison narrates her family’s story, as a traumatized seven year old, and later as a successful research biologist in her late twenties. With two older brothers and a toddler sister, she remembers how they determinedly grappled with the problems of staying together. At every turn, heart-wrenching decisions and difficult daily life follow the Morrisons. Only Bo, a toddler at the time of the parents’ death from a car accident, provides some comic relief, as the assertive and funny terrible-two year old who plays with pots and pans on the kitchen floor. The Morrison parents have gone to town to buy a suitcase for eighteen year old Luke, who surprisingly has been accepted into a teacher’s college. His seventeen year old brother, Matt, always thought to have been the smarter of the two brothers, has a promising future too, as he heads into his last year of high school, focused on getting a scholarship to study biology. When a logging truck kills the parents, the two brothers are determined to keep the family together, despite well meaning offers from their father’s family to send the two little girls to live with distant relatives. With little money left to them after their parents’ death, the brothers rely on the charity of the small town neighbors who knew their father, a banker. Luke foregoes college to stay home to care for the two little girls, working part-time on an adjacent farm and later as a janitor in the local one room school. As the story unfolds, family secrets are revealed, and Kate looks back on the “what might have beens” – decisions affecting her brother’s lives forever – Luke’s encounter with a flirty attractive girl, Matt’s tangling with the violent farm neighbor’s daughter. Life is hard, with smatterings of humor, but severe turning points mark life-changing choices. As the only sibling to go on to college and a Ph.D., Kate feels guilty for what she has, and what they lost. Finally, she faces her demons at a family reunion – her nephew’s eighteenth birthday – and with the help of Daniel, her colleague and lover, Kate makes peace with her family and with herself. Crow Lake is a page turner. Lawson’s storytelling style is comfortable and will draw you into the places and the people – the kind of book you can get lost in. Mary Lawson has published two more books and has been long-listed for the Man Booker Prize since writing this first novel, Crow Lake in 2002. If not for Liane Moriarty, I would have missed this talented Canadian author who lives in England. In responding to an interview for “By the Book” in the New York Times, Moriarty confirmed Crow Lake as the book she wished she had written, “with every character …so beautifully described and developed…” Lawson’s The Other Side of the Bridge was on the long list for the 2006 Man Booker Prize, and has characters again in northern Ontario. I can’t wait to read it. Anne Tyler’s latest book – A Spool of Blue Thread – begins as a simple family saga, introducing the Whitshanks, a seemingly innocuous group of characters – hardworking father, caring mother, responsible sisters, the black sheep brother, and the son who will take over the business. Just as you are comfortably settled into their lives, Tyler shifts gears, introducing layers of generations, revealing idiosyncacries, and offering her trademark wisdom about relationships and life. Although the process of growing up and growing old dominates the story through three generations, Tyler deftly inserts family resentments and good intentions gone awry. The sudden death of a main character scatters the family focus, and the aftermath of a secret uncovered rings true. Maybe Tyler is offering a warning: destroy all those written notes, long before you think it’s necessary (Jane Austen had the right idea – better to leave in mystery). 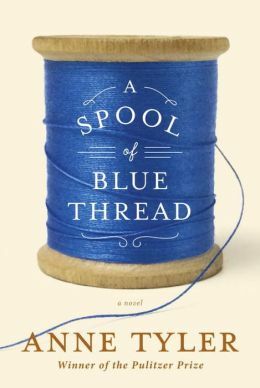 As in all her books, Tyler provides a back story for all her characters, and neatly ties up all loose strings – in this case, with a spool of blue thread. But her books always end with a sigh, and the promise that life goes on. For Anne Tyler, it’s the middle that counts – not necessarily the beginning or end. If you are a Tyler fan, you will easily fall into the familiar rhythm and enjoy yourself.